Mahadev is located near Daulatabad near Aurangabad city of Maharashtra. It is also known by the name of Grishneshwar jyotrilinga. People come from far and away to visit here and attain spiritual peace. This is the last Jyotirlinga of the 12 Jyotirlingas of Lord Shiva. The famous caves of Ellora built by Buddhist monks are located near this temple. This is also the tomb of Shri Eknathji Guru and Shri Janardan Maharaj. But in the 16th century, the true devotee of Lord Shiva of Mali Maloji Rao Bhosale (grandfather of Chhatrapati Shivaji Maharaj) once received the treasure hidden in a bill of the snake by the grace of Lord Ghrisneshwar. He used to get all the money from the treasury to save and rebuild the temple and Shikshashinagpur. And after this, in the 18th century, the Queen Ahilyabai Holkar also renovated the temple. Also in the temple premises, he also established the second main Hindu temple, such as Varanasi's Kashi Vishwanath, Vishnu Temple of Gaya, and Giant Jyotirling in Somnath. Presently it is an important and active religious place for Hindus, where lakhs of pilgrims visit every year. Anyone can enter the temple, but to enter the womb, it is mandatory to follow the Hindu tradition, only those who are open-handed are given admission. Built-in 240 feet * 185 feet, this temple is also India's smallest Jyotirling. In the middle of the temple, Dashavatar of Lord Vishnu has also been depicted. The temple hall has been constructed from 24 Pillars. Even today on these pillars we see ancient inscriptions and manuscripts. The sanctum is 17 feet * 17 feet wide. Where the mouth of Lord Shiva's body is placed on the east side. 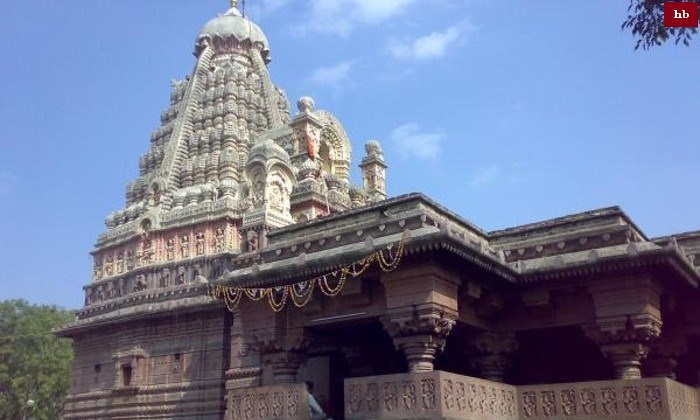 The Grishneshwar Temple is a prestigious temple of Maharashtra State. The Hindu goddesses of ancient times have been depicted on the walls of the temple. 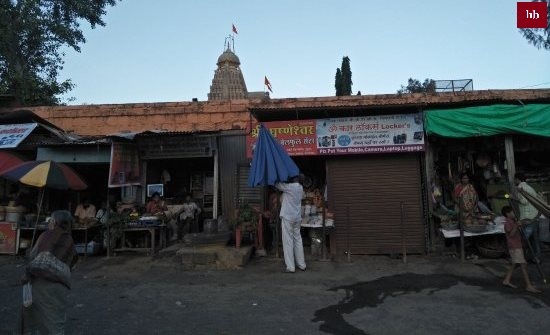 An interesting story behind the establishment of the Gushmeshwar Jyotirlinga Temple . It is said that there was a Brahmin named Sudharma, near the south side of the Devagiri mountain. His wife's name was Suedeha. Both of them had no children. With the desire to get children, Suedeha asked her husband to get married to her own younger sister Sushma. Sudharma married Surshma on the advice of his wife. After marriage, the two sisters started living with love with Sudharma. Anhshma was a great devotee of Lord Shiva, he worshiped them by making hundreds of pilgrim Shivlinga every day and after worship, he would immerse them in a lake. After some time when he was born son, Suedeha began to feel jealous of him. One day, Sudeha killed Gorshma's son and threw his dead body in the same lake, where Surasha immersed his Shivlings. Even when Bharshma came to know about the murder of his son, his mind did not get disturbed. He started worshiping them like Shivalinga every day and God wished to get his son back. After the worship, when Bhishma went to immerse Shivlinga in the lake, his son stood on the banks of the Sarovar. Knowing the reason for the death of his son, Rishma did not get any anger towards his elder sister. Pleased with the simple simplicity and devotion of the energetic Lord Shiva, Lord Shiva appealed to him and asked for the boon. On such saying of Lord Shiva, Eynsham sought God's blessing to ask his sister for her crime and to stay in this place forever. At the behest of the energetic god, God was placed in the same place as the Gushmeshwar Lingam. grishneshwar jyotirlinga Temple is in Aurangabad. 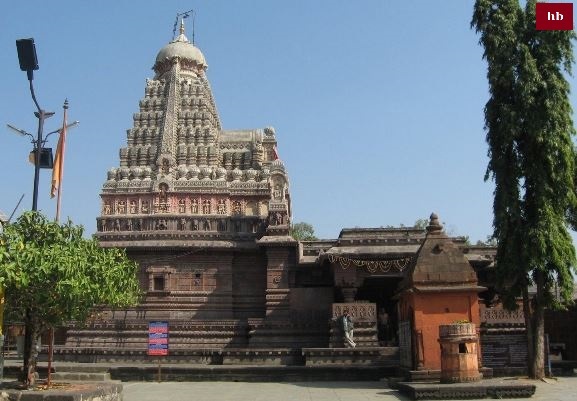 Grishneshwar Temple is located in Verul village that is 20 km from Daulatabad, near Aurangabad. 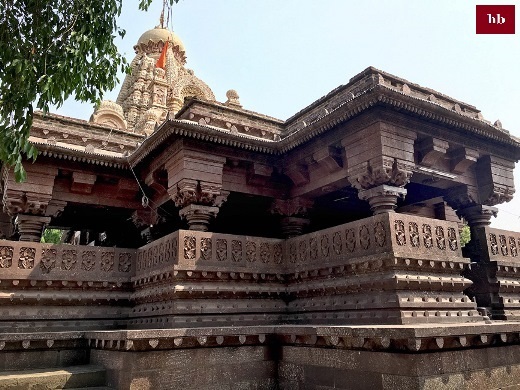 Grishneshwar Temple is situated around 35 km from Aurangabad and 20 km from Daulatabad and is accessible from those two cities via bus and sharing Taxis. It is 100 Kms from Manmad, 174 km from Nasik and around 250 km from Pune. People from North and East India can come via Nasik, Manmad railway stations and people from West and South can come via Pune and Aurangabad railway stations. Nasik and Aurangabad cities have airports here.